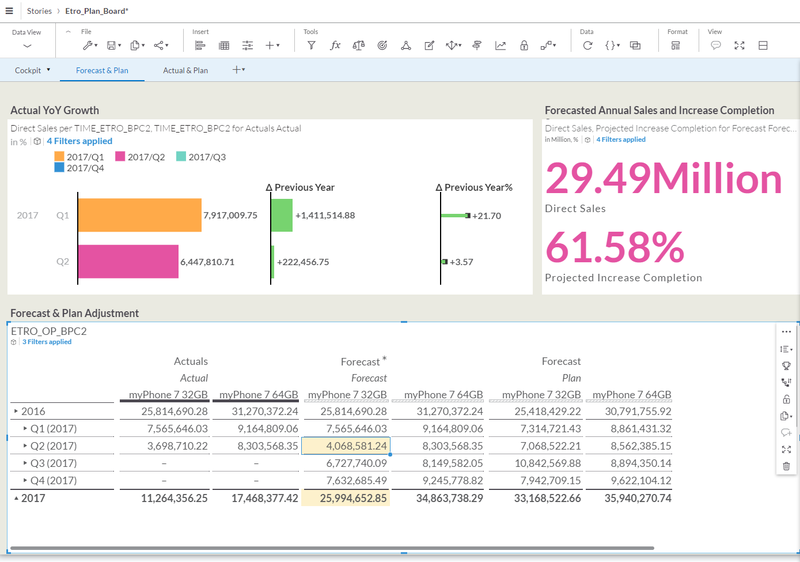 With the new release of SAP Business Planning and Consolidation 11.0, version for SAP BW/4HANA (SAP BPC 11.0), we have taken the data acquisition between BPC Standard and SAP Analytics Cloud (SAC) to a next level where a near live experience is provided. A much more flexible hybrid solution is offered to customers on their journeys to cloud, combining planning capabilities from both worlds with advanced analytics features of SAC. Few months after SAP BPC 11.0 RTC, we managed to down port this fantastic feature to BPC 10.1 on NetWeaver platform, providing this cloud option to more BPC customers, starting from SAP BPC 10.1 on NW 750 SP09. 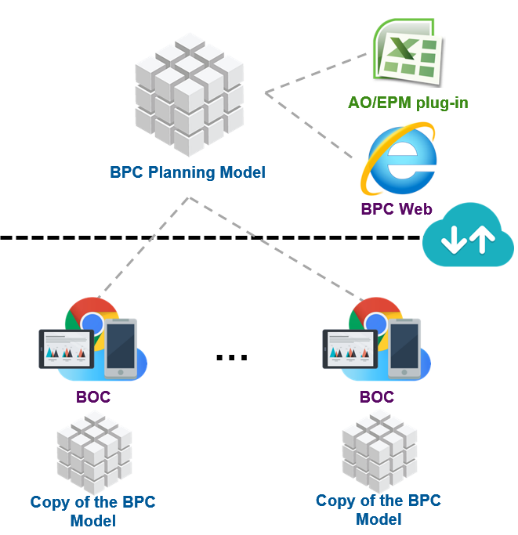 After a one-time job of connection creation and data region mapping, planning users in SAC could now perform planning activities directly on BPC data in SAC via version management pane, extracting the latest data from BPC or submitting new planning data to BPC, anytime and anywhere. By leveraging the delta region based data synchronization, a near live experience could be achieved. Customers could still leverage the planning capabilities, such as logic scripts, from BPC. In the meantime, customers could also enjoy flexible planning capabilities, such as spreading, distributing, predictive forecast and powerful visualization features from SAC. You probably know SAC already supported the integration with BPC models before. Customers could import a new model or data to SAC side and export back data to BPC once planning process is done. You could also set up a scheduled job to import new data from BPC to a target model in SAC on a regular basis. Those features are still available nowadays for the new version of SAP BPC 11.0, version for SAP BW/4HANA. In addition, the new type of acquisition allows you to sync data between any supported version of BPC and SAC anytime you want with one click within a story. You no longer need to wait for a scheduled job or go to the complicated exporting process. Behind the scene, SAC would collect those new planning data you input within the defined data region, submit them directly to BPC and finally get any new data back to SAC within the same data region. In short, SAC now could serve as an alternative client on top of BPC models, just like the way you enjoyed of planning using Excel EPM plug-in and BPC web client report/input forms. Let’s have a deeper look into how to set up this new kind of data acquisition between BPC and SAC and how to leverage the new capabilities provided. You probably know in the past a connection to BPC system need to be created first before one can import a BPC model. It still holds true for the new type of data acquisition between BPC 11.0 and SAC. In the following screenshot, we will take SAP BPC 11.0 as an example. For other versions of BPC, they are pretty much the same. In the connection, you will need to specify the system type, input your BPC server host name/port, and finally a credential used in this connection. Be aware the credential you input here need to be a valid BPC account and it will be used every time extracting new data from BPC to SAC afterwards when the data sync happens in stories. 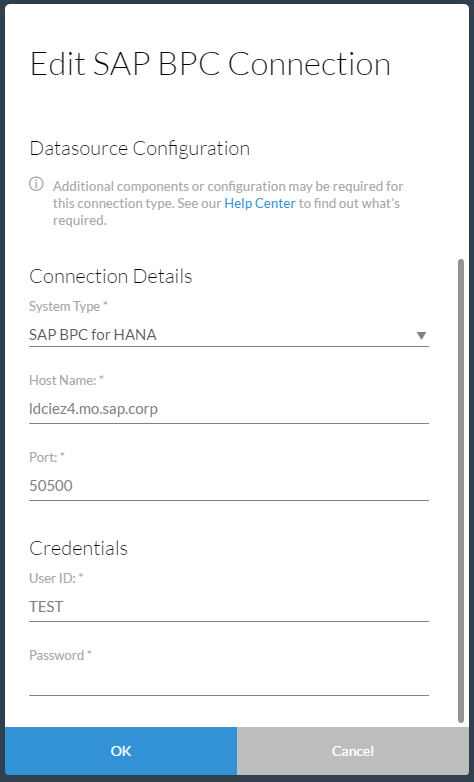 With the connection created, now you could import a new BPC model to start this new type of integration. 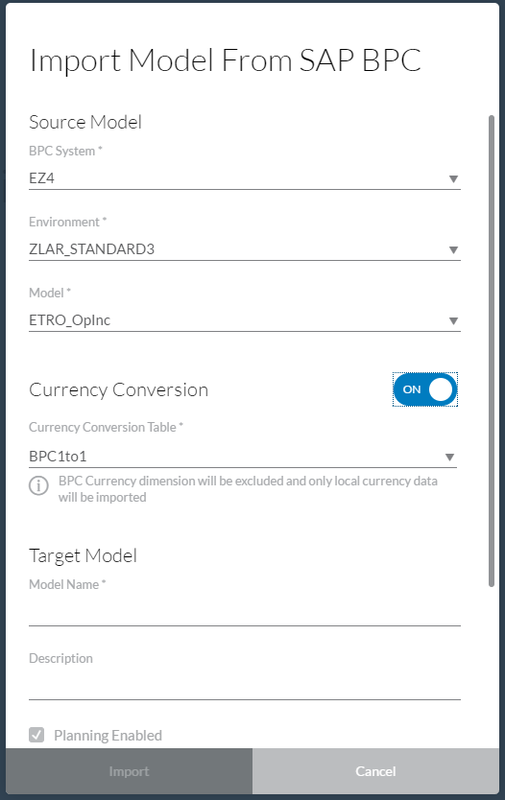 Inside the import dialog, specify the target BPC environment and model, turn on the currency version if necessary. You will notice there is a new option of “User can write back to BPC” available. By checking this option, users will be able to sync data directly inside stories with a near live experience. Finally define the mapping to restrict the data region you want to sync between the two systems. The rest of the importing steps are the same as before. There are some things worth mentioning. All the dimensions created in SAC will be private dimensions. All master data will be read-only in SAC since they should be synced from BPC. When DAC (Data Access Control) is enabled on any dimension in SAC, the read & write access could still be maintained in SAC. The DAP (Data Access Profile) setting in BPC could not be synced automatically yet to SAC, so you will need to set up your DAC setting in SAC independently. Currency dimension will not be imported into SAC. Currency conversion need to be configured inside SAC separately if necessary. After the model is imported into SAC, you can do enjoy the flexible planning and visualization capabilities in SAC and sync the data with BPC in stories anytime. For example, you will be able to add charts, tables, etc. with BPC data to stories, copy & paste inside tables, spreading, distribute, assign and execute allocations. 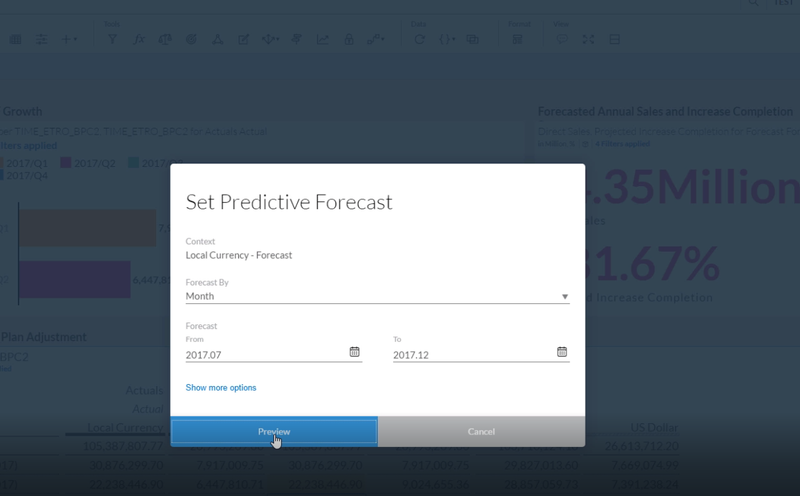 You will be able to do predictive forecasting based on your BPC data. You will also be able to use VDT (value driver tree) to do your strategic planning based on the data your synced to SAC. When you are done with your data inside SAC, it would extremely simple to synchronize the change back to BPC. 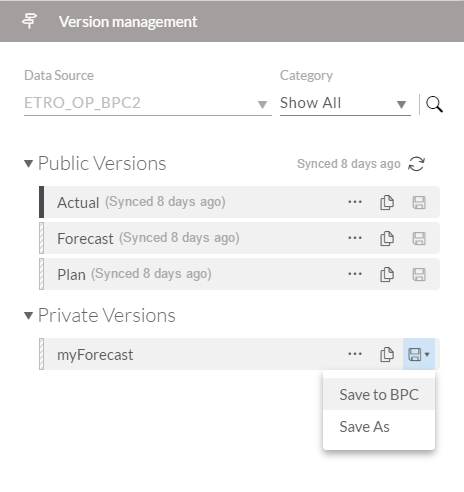 You can open the version management panel, select target version of data you want to submit to BPC and click save button. Inside the version management panel, there will be timestamps to help you understand when is the last time data has been synchronized with BPC. In addition, you can also create private versions inside SAC to perform your own version of planning process and decide to save them back to BPC at a proper time. Upon the data submission into BPC, you can still leverage the logic script feature provided inside BPC. 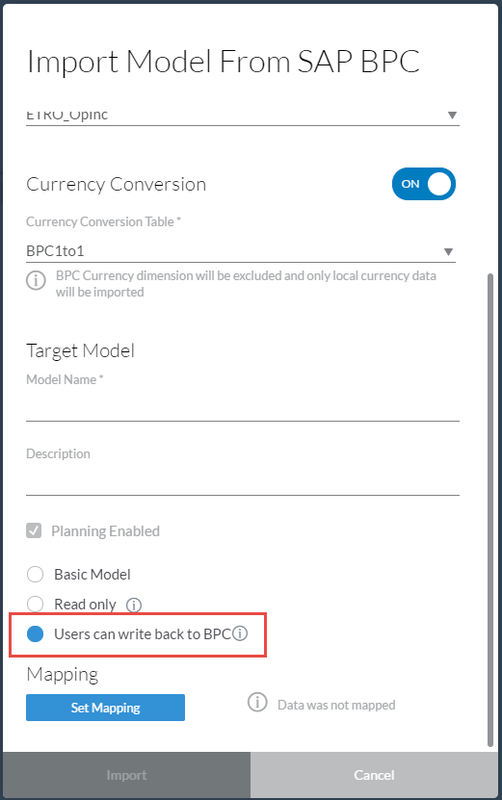 For example, currency translation can be configured to execute when data is received at BPC side. The scheduled job in SAC can still be applied to this new type of integration. The synchronization happened from version management panel takes care of transaction data only. If you want to synchronize the master data update happened in BPC, you will need to use the scheduling job. Other things you may ask. DAP in BPC couldn’t be synced to SAC automatically. You need to set up your Data Access Control (DAC) in SAC separately. The model in SAC is an exact copy of BPC standard model. The model and its dimensions cannot be extended and/or changed (i.e. new properties cannot be added to the model in SAC). Please note if your model has the write back feature enabled, the existing import/export to BPC options are not allowed since the BPC model and SAC model are synchronized automatically.